Having transitioned in 2004 from consulting Fortune 500 healthcare companies on managing strategic goals to starting her own financial services firm assisting individuals, families, and small businesses to pursue financial goals – Nicole has always put herself in her client’s shoes when providing strategies focused on their vision of financial success. Nicole believes financial planning is about spending less time worrying about your finances and more time enjoying priceless moments. She uses a comprehensive, goals oriented approach to help clients plan for their financial future. Her client centric process then focuses on determining the financial tools, assets, and resources that best aligns with your vision of success. Nicole’s professional registrations held with LPL Financial include the FINRA Series 6 Investment Company and Variable Contracts Products Representative and the Series 63 Uniform Securities Agent. 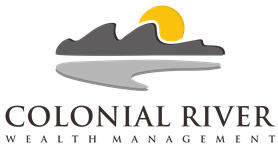 The Series 65 registration is held with Colonial River Investments LLC. She also holds Life, Health, and Variable Annuity licenses with the state of Virginia. Prior to joining Colonial River, Nicole spent 13 years as CEO of her own independent financial services firm, Nicole Cole Financial Services Group. 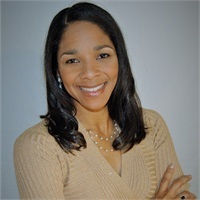 Having worked in college financial aid services prior to graduating from the University of Maryland, College Park in 1991, she has developed a specialty in college financial aid and funding planning. She also holds an M.B.A. in Finance from the Kellogg School of Management at Northwestern University. Nicole is a member of the Fredericksburg Chamber of Commerce – a Leadership Fredericksburg graduate, board member of HELP Consulting, Inc. an educational services non-profit and an active volunteer in the Fredericksburg, VA community. Nicole most enjoys creating priceless memories through travel, outdoor adventures, and educational pursuits spent with her three children – Joshua, Journey, and Max.